Winter is finally here in Montana and I thought I would share some of the last of the fall images I’ve taken this year in western Montana. 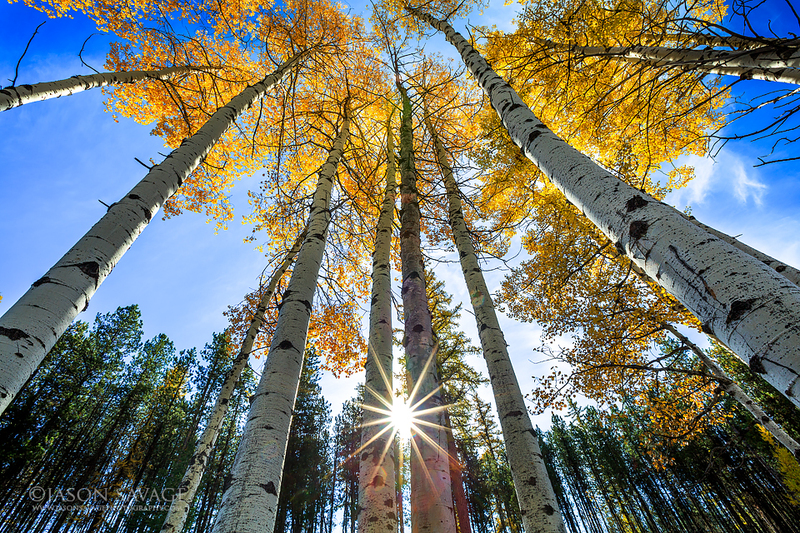 This image was created in the Seeley-Swan Valley using a wide angle lens and some experimentation in an awesome aspen grove we found on my recent workshop. I love playing with compositions in groves like this, as you can spend all day rearranging the trees in different configurations and including different elements such as the rising sun in this one.